Forgive me a little press release copy and pasting… but it’s certainly a worthy campaign to profile. 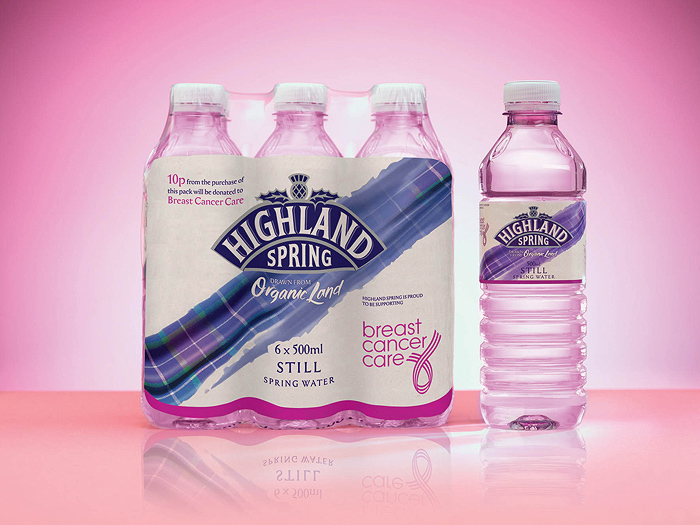 Highland Spring is blushing pink as it launches an exclusive handbag size ‘hint of pink’ bottle in association with Breast Cancer Care to help raise valuable funds to support the 46,000 people diagnosed with breast cancer every year in the UK. Available in a 6 x 500ml pack, the bottles will be sold in Tesco stores nationwide. If you’re interested in finding out a little bit more about the kind of support Breast Cancer Care offers families and people in need, watch the video belowing detailing Win’s story. She’s an inspiration! Aw that’s such a nice idea! Loving the new look of the lil bottles although it’s something else which caught my attention. Loving this new ad going on today , sounds cool, the ‘my city deal’ thing. have you clicked on it yet? My neck of the woods is not listed, what a surprise. *sighs* Won’t be having the cinema, MacDonalds and Boots at 90% off then. I am SUCH a sucker for breast cancer products. I bought pink sharpies the other day. Had to have them. Awesome idea, I’m doing the Race for Life event at the beach in July =). I’ll definitely look out for these in Tesco’s, love them and it’s obviously great to support such a good cause.